At ScottishMotors.com, we work with our partner Experian to confirm the identity of vehicles listed on our site. We also use further information from Experian to assess key vehicle criteria as part of our screening check. This free check is provided to give you peace of mind to search for your next car with confidence. We highly recommend that you verify all details with the seller and use your own judgement on the vehicle too. Please see our Buying Guide for more tips on how to buy with confidence. If a vehicle is listed on the Police National Computer as stolen. We will not publish any car registered as stolen on our site. If a vehicle is recorded by the DVLA as scrapped. If a vehicle has been "written-off" by an insurer because it has been stolen or crashed. If a vehicle is recorded by the DVLA as imported or exported. What do our symbols mean? Our screening check found that this car is recorded as previously being exported, imported or registered as written off and legally returned to the road. We have been unable to perform a screening check for the vehicle. There is no adverse data recorded at the time of the screening check. We only check the information listed above at the time of creating the advert. As such, the screening check does not provide information on how the vehicle has been treated or its service history. In particular, we do not check for any outstanding finance or mileage anomaly on the car. Insurance companies categorise vehicles that have been damaged in accidents as A, B, S or N and record them under the Motor Industry Anti-Fraud and Theft Register scheme. Vehicles in categories A and B have been damaged too seriously to return to the road so you'll never see these listed on our website. Vehicles in categories S and N (formerly C and D) can be repaired and resold, but have been deemed uneconomical to repair by an insurer If such a car is advertised on our site you'll see the red 'History Alert' symbol. All cars at ScottishMotors.com are entered into the screening check, but it may not always be possible to find data on the vehicle. A common reason is that the number plate has previously been changed, for example where someone has had a private number plate. 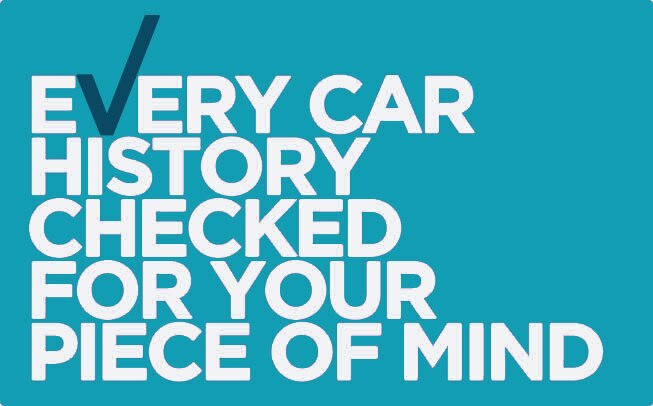 There may not be a need be concerned and we recommend you contact the seller if you have specific questions about a vehicle’s history. Additionally, the checks are applied against large databases which may occasionally have data errors. As such, you must ensure that you reconfirm all information with the seller before committing to buy. This will be a very badly damaged vehicle that has been deemed unsafe for the roads by an insurance company. Nothing in the car is salvageable and therefore it is scrapped. The vehicle has not been repaired following significant damage. It was deemed too damaged to be repairable however did have salvageable parts. Category D, now known as category N, is a vehicle that has had minimal damage, but it is more to fix the car than its actual value, and therefore is not economically viable for the insurance company to do so. Formerly known as a category C write-off, a category S is a vehicle that is repairable but the cost is more than the value. Therefore, the insurer decided not to repair the vehicle. It will also have suffered more damage than a category N vehicle, but can still be placed back on the road. Formerly known as a category D write-off, category N is where the vehicle can be repaired but the insurance company has deemed it uneconomical to do so. These vehicles can still be repaired, however, and placed back on the road. This vehicle was recorded with a theft marker on the date provided. It does not necessarily indicate that the vehicle remains stolen. Please note that it is for you to satisfy yourself as to the quality, condition and provenance of the vehicle through your own inspection and enquiries and Motors.co.uk shall accept no liability for any information prepared by it (in particular, where it is dependant and reliant on information provided by third parties and, for the avoidance of doubt, Motors.co.uk does not undertake to check or scrutinise such information). ScottishMotors.com is authorised and regulated by the Financial Conduct Authority. Full details upon request.